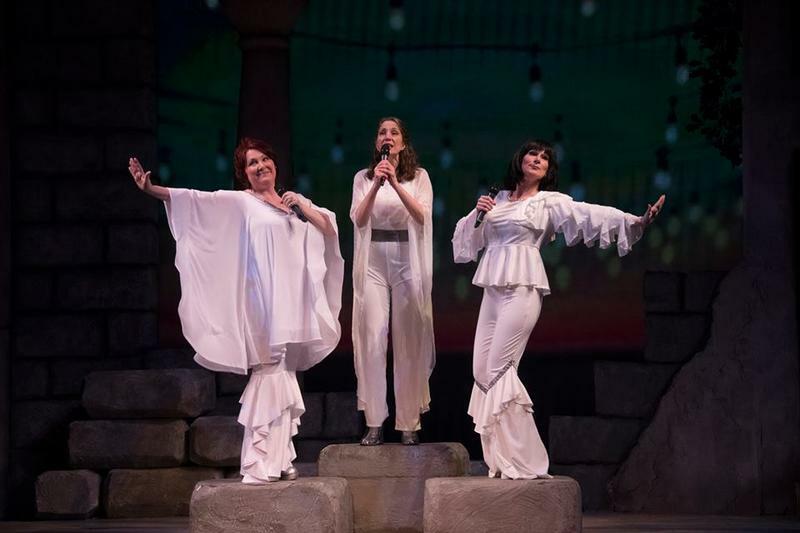 After directing a fabulous THE PRODUCERS at the Kavinoky, Lynne Kurdziel-Formato brings her talents to MAMMA MIA!, the 1999 juke-box musical set to songs by ABBA, now extended through February 3! Across town, at O'Connell & Company, Victoria Perez has directed AN ACT OF GOD. And (see listings below) both The Shaw Festival and The Stratford Festival have announced their 2018 seasons. Theater Talk observes the passing of Sam Shepard, an American playwright (44 plays!) with a particularly edgy off-Broadway slant, who was also an actor, author, screenwriter, and director. 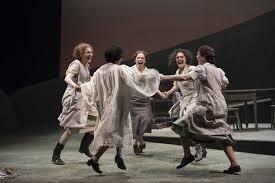 The Stratford Festival is in full swing and, like The Shaw Festival, continues well into the early fall. 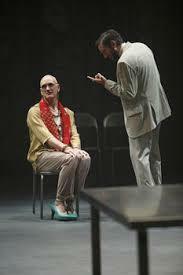 Ibsen's play JOHN GABRIEL BORKMAN was a highlight of a recent visit. Occasionally Theater Talk mentions particularly fine acting moments in the movies, and FLORENCE FOSTER JENKINS has several, and not all by Meryl Streep! Locally, Buffalo hosted a prestigious theater critic, Bonnie Marranca, at Hallwalls, and you can hear about that as well. 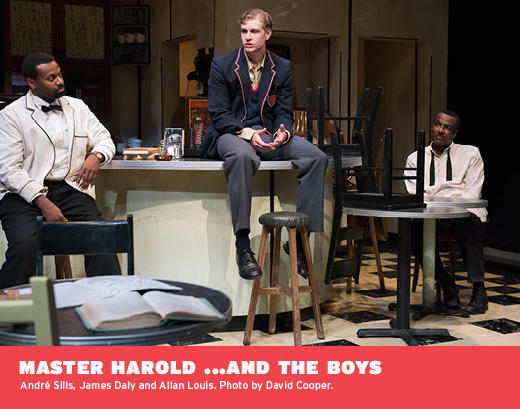 MASTER HAROLD AND THE BOYS packs a lot of drama into 90 minutes at the Shaw Festival's Courthouse Theatre in a play, set in the 1950s, that looks at many issues, including apartheid. Classically trained but a "behind the scenes" Hollywood star, Marni Nixon, who sang for stars who couldn't, passed away this week. And the Buffalo Infringement Festival 2016 has too many offerings to list, so you'd be wise to visit the website. 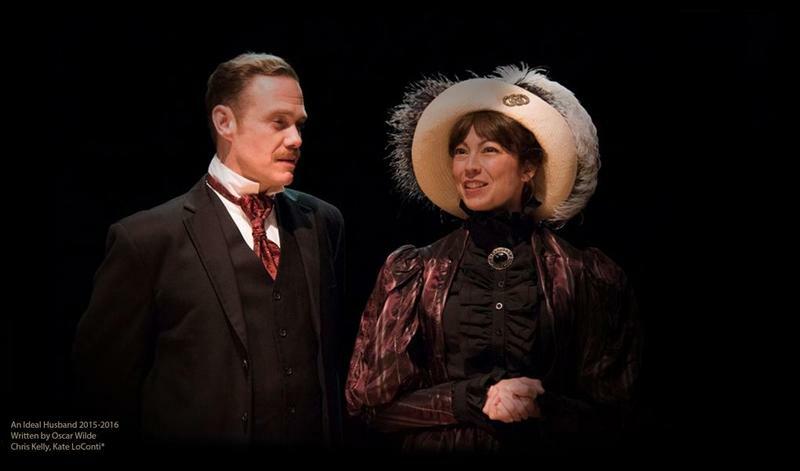 Niagara-on-the-Lake's Shaw Festival presents MRS. WARREN'S PROFESSION and it is skillfully staged and directed as if this pro-feminist play were being produced in a gentleman's club, which, indeed is how the first production came to be for this censored work. And, it's the Shaw production that will make its way across the border to 710 Main Theatre in the late fall. An excellent choice based on the opening which Peter and Anthony saw over the weekend. 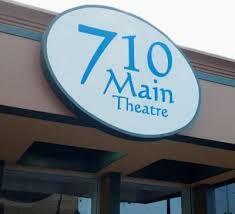 Remember, 710 Main is where the Artie awards will be presented on Monday, June 6 at 8 p.m. (bar opens at 7). Meanwhile, Shaw's great friend Oscar Wilde, will have his play AN IDEAL HUSBAND (one of Shaw's favorites) open tonight at the Irish Classical Theatre (625 Main). And don't forget that O'Connell & Company is presenting Sondheim & Furth's COMPANY at The Park School in Snyder. 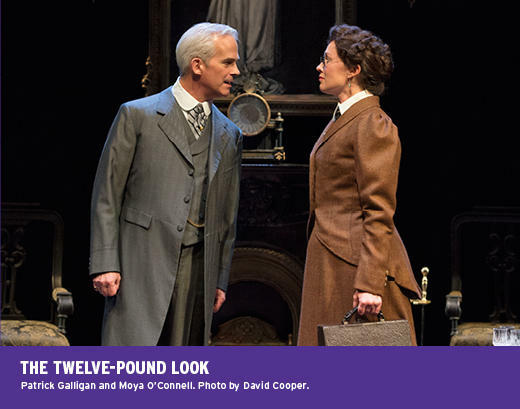 The Shaw Festival presents a thinking person's play with possibly too much to think about at once, and many in Buffalo are thinking about Curtain Up, the annual celebration of the start of the theater season. 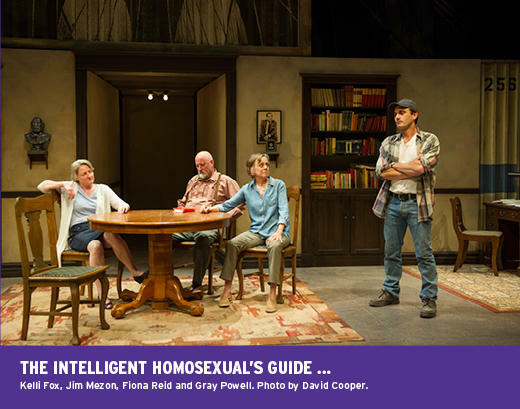 Tim Carroll's candidacy for the Shaw Festival's Artistic Directorship was kept under wraps, but his tenure which begins in about 16 months (he'll be shadowing Jackie Maxwell for the 2016 season) holds great promise to return the Shaw to its former glory. 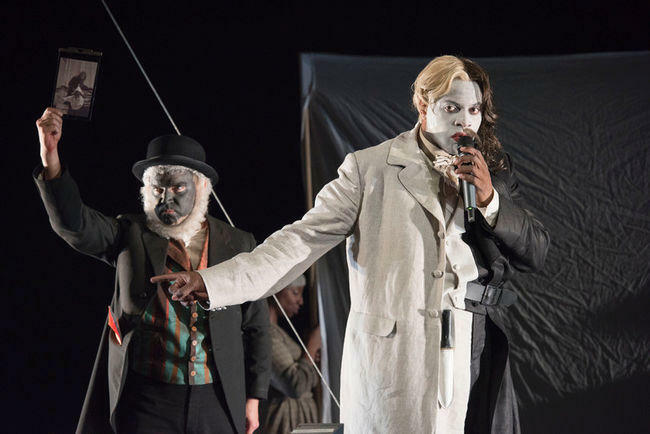 Meanwhile, at the other great Canadian festival, Stratford, the Greek tragedy by Sophocles, OEDIPUS REX, builds relentlessly to its conclusion, leaving sold-out audiences breathless. There are several closings in Buffalo as the summer wanes, but The Shaw Festival in Niagara on the Lake continues well into the fall. This week Peter and Anthony talk about the great number of theater locales with August events, from Jamestown and Chautauqua in the south, to Artpark, Musicalfare, and The Shaw Festival in the north, to the BUA, Subversive Theatre, and Shakespeare in Delaware Park right here in Buffalo. 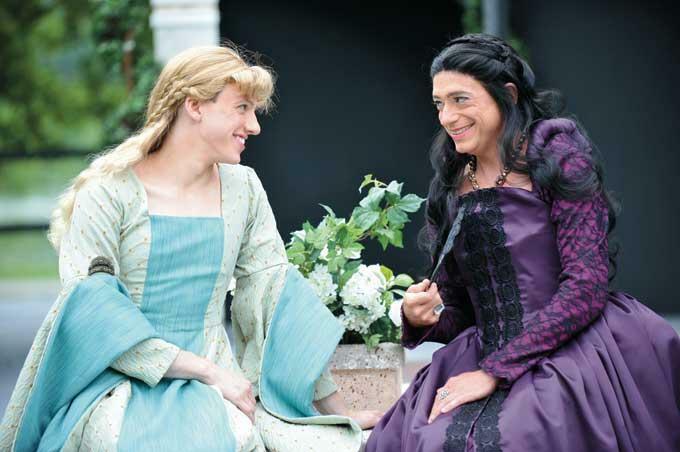 Crossdressing newbies Jordan Louis Fisher as Viola and Tim Newell as Olivia in Shakespeare's TWELFTH NIGHT and BUA experienced drag actors Christopher Standart and Jimmy Janowski (who, by the way, has great legs) as Bette Davis and Joan Crawford in BETTE AND JOAN: THE FINAL CURTAIN spice up new productions and keep summer audiences engaged. 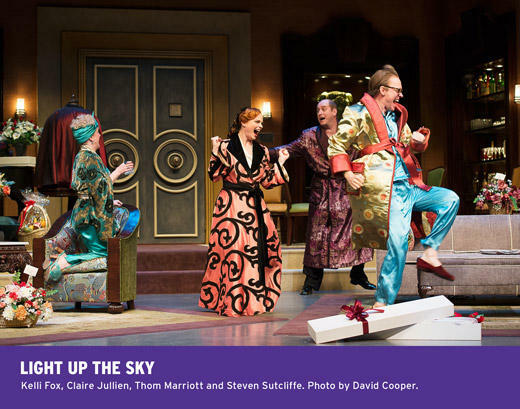 In a popular Cole Porter musical we are advised to “Brush Up Your Shakespeare” while the cast sings about “Another Opening, Another Show.” Here in our area, starting last night and going through this weekend we have six (6!) openings (including Shakespeare) from which to choose. And that’s in July! Buffalo is definitely not in Kansas anymore. 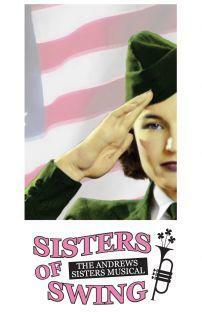 Peter and Anthony went to see SISTERS OF SWING: THE ANDREWS SISTERS MUSICAL starring Wendy Hall, Michele Marie Roberts, and Renee Landrigan as Laverne, “Maxene,” and “Patty” Andrews (contralto, soprano, and mezzo). Peter was impressed with Landrigan’s ability to stay right on the knife edge balancing schmaltz with cool, channeling her inner Bing Crosby. Neat trick. Philip Farugia plays their manager, Vic Schoen, and serves as the music director of a very tight backup combo while Nicholas Lama is cast as “Everyone Else” (Danny Kaye, Carmen Miranda, cab driver, etc.). You may have seen it several years ago, but this is a new cast and in a little over two hours you get 24 high energy songs and solid performances from all, through August 9 at Musicalfare Theatre, 4380 Main Street in Amherst. The Shaw Festival is featuring a splashy song-and-dance musical this season. "Sweet Charity" is the story of a dancer seeking love and Julie Martell is on stage almost constantly in the role. She spoke with WBFO's Mike Desmond. 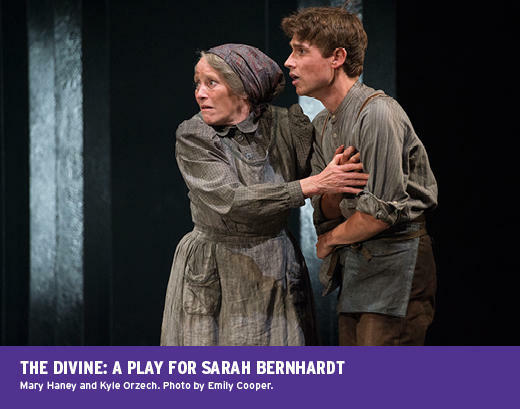 With five venues, settled in a quaint town with plenty of walk-to attractions, the Shaw Festival in Niagara-on-the-Lake, Ontario, continues to attract a sizeable audience from Buffalo. Anthony Chase reports in during the intermission of "Peter and the Starcatcher" at the Royal George Theatre which is attracting a large number of younger audience members (suitable for 8+) who react audibly to the imaginative plot - the "prequel" to "Peter Pan."